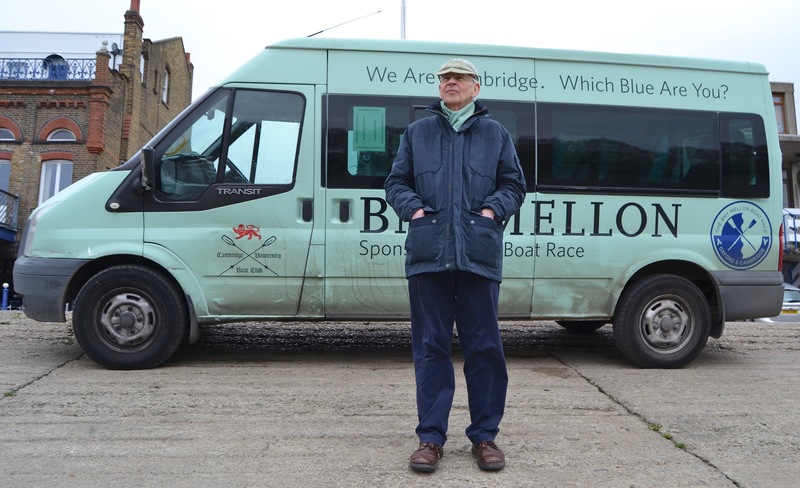 On the day before the 2019 Boat Race, Ben Duncan (Cambridge 1973 and 1974) casts a critical eye over the crews racing 45 years on. 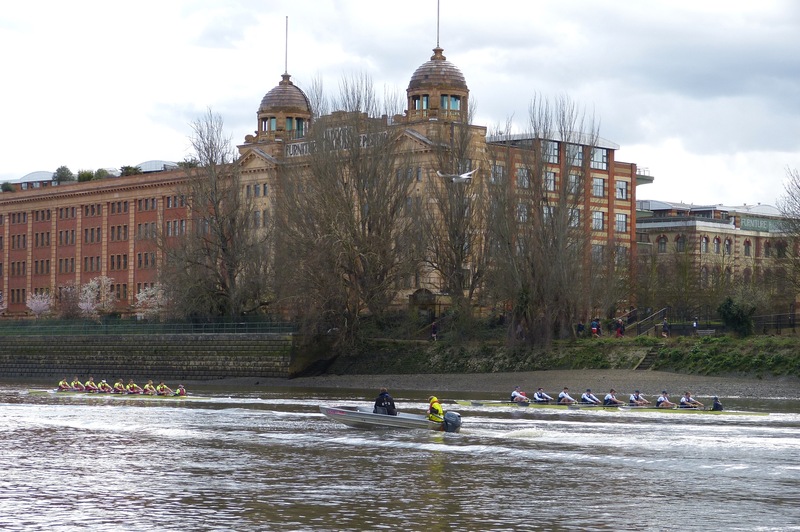 On the morning of the big day, Tim Koch looks at some of the boat races that precede The Boat Races, meets the press, and hangs around the Putney Embankment with his camera. 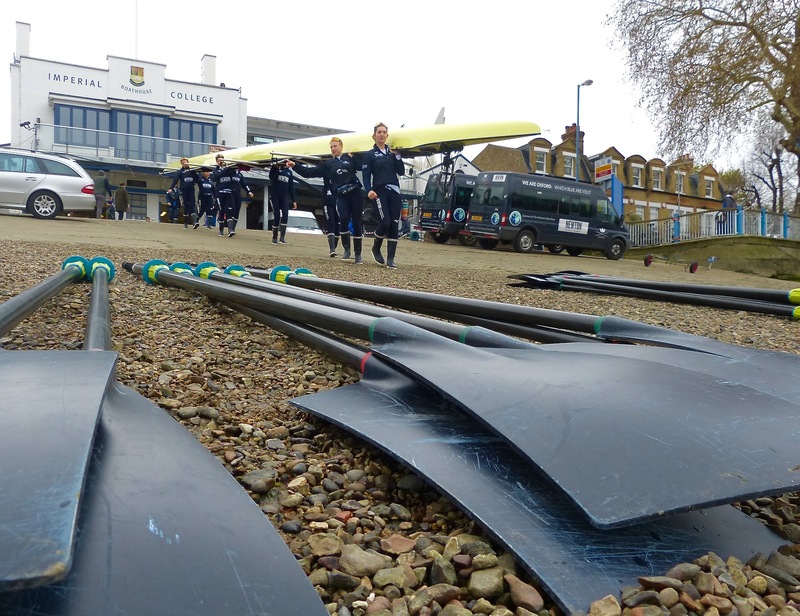 Regular readers (and I hope that I am correct in using the plural) may have noticed that my usual reports on the run-up to Boat Race Day have been as faint as the puddles of a novice eight. 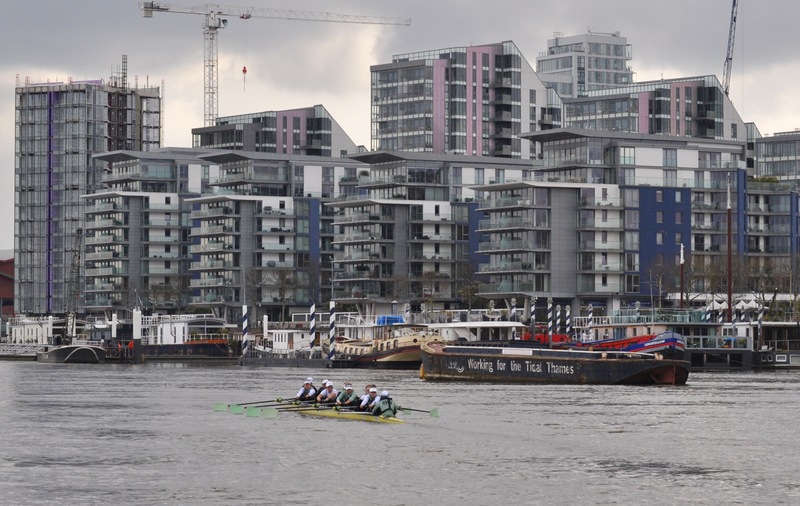 Normally, I cover most of the Boat Race Fixtures, when, in the final month, the crews get valuable race practice by competing against boats from top clubs over all or part of the course. Also, in the final days, ‘Tideway Week’, I am usually in the press launch observing the crews doing the final fairly gentle outings as they taper their exercise in preparation for their big race. This year, however, I have been less able to do this, partly due to work commitments, partly because of a lack of space in the small press launch that Health and Safety now force us to use. Further, the 2019 men’s race has a ‘human interest’ angle that has caught the attention of the media; a middle-aged man is showing that grey is the new Light Blue. 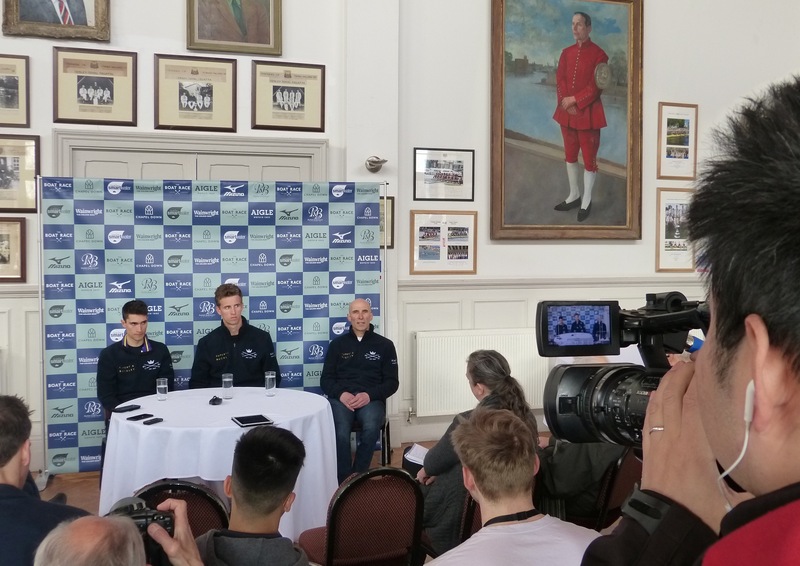 This has increased the number of photographers, in particular, wanting launch places, the press being delighted that this year’s Boat Race is not just about boring old rowing. 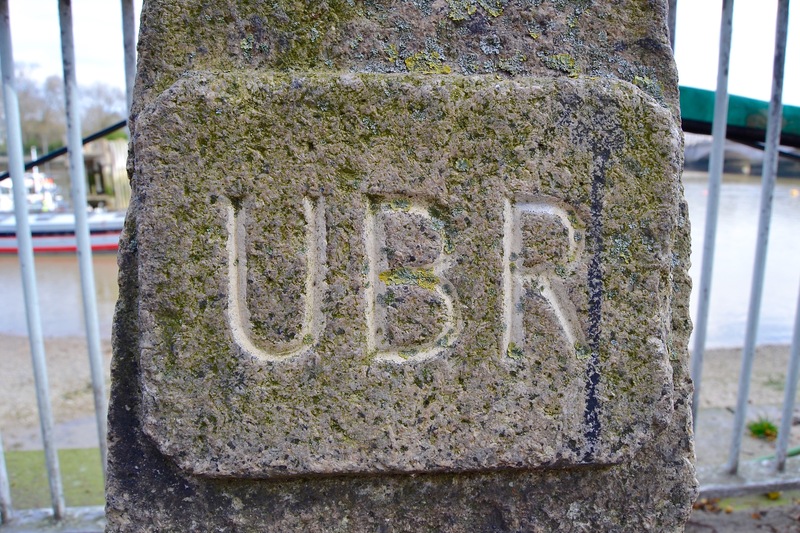 The UBR (University Boat Race) Stone at Putney marks the start point of the Oxford – Cambridge Boat Race. 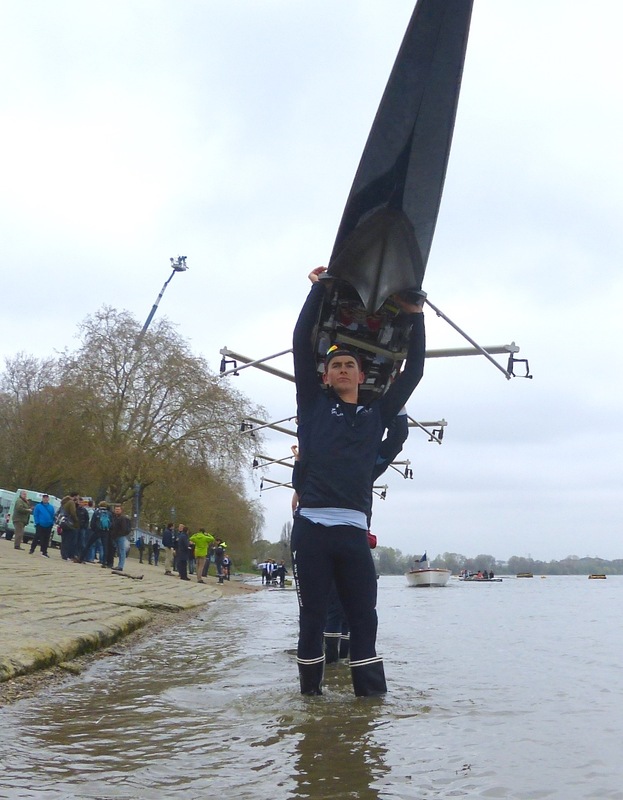 While I may have been following in few light and dark blue wakes, the good people from theboatrace.org have had no such problems and their excellent race reports are here. I have taken the liberty of editing and consolidating these, interspersing my plagiarism with those pictures that I did manage to take, either from Hammersmith Bridge or from the riverbank. The pictures may – or may not – go with the reports around them. 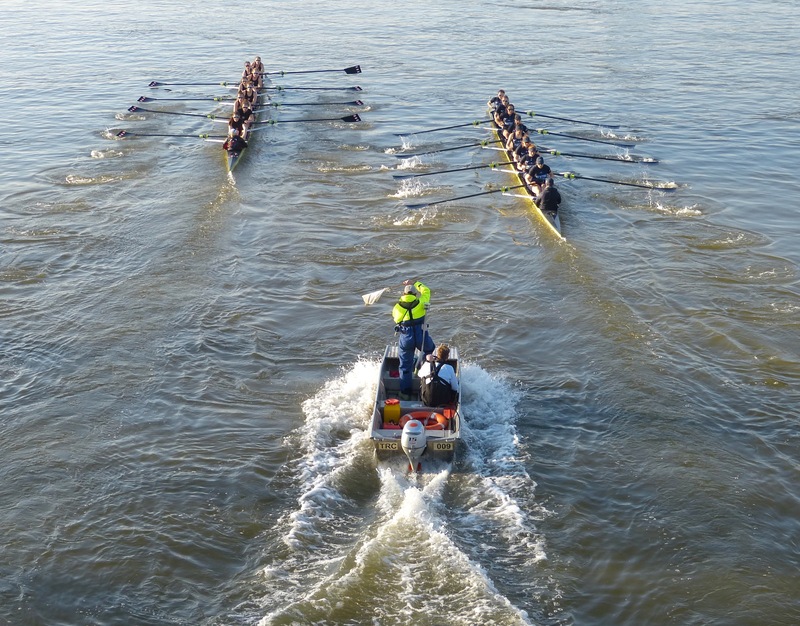 The Amsterdam Student Rowing Club, Nereus, is a club to be taken seriously and it regularly provides a substantial part of the Dutch national team. In the first of two pieces, Nereus led by a length at the end of the Fulham Wall, and by three lengths by the Mile Post. Cambridge managed to reduce this distance by Harrods, and they finished two lengths down at Chiswick Steps. The second piece started at Chiswick Eyot and by Chiswick Steps, Cambridge led by a canvas, which developed into a third of a length by Chiswick cross over. The crews drew level at Barnes Bridge and Nereus went ahead approaching the brewery, winning by a quarter length. 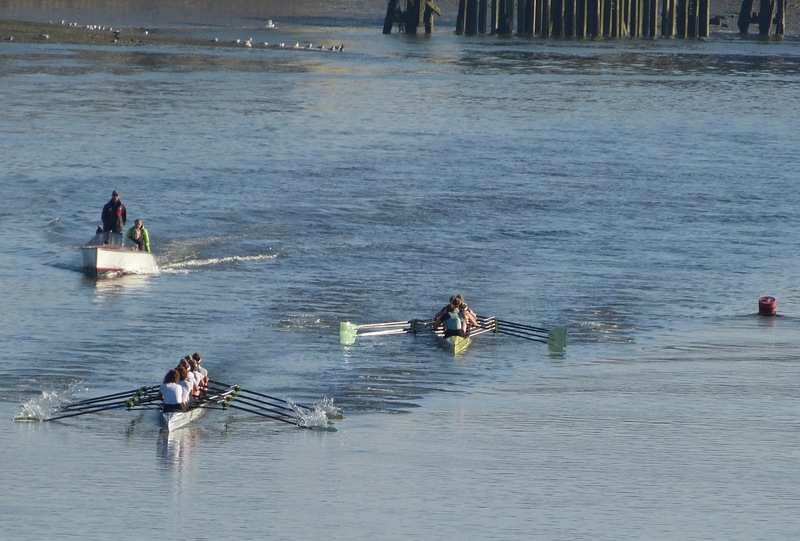 Cambridge Women (right) vs Nereus (left) – approaching Hammersmith Bridge. 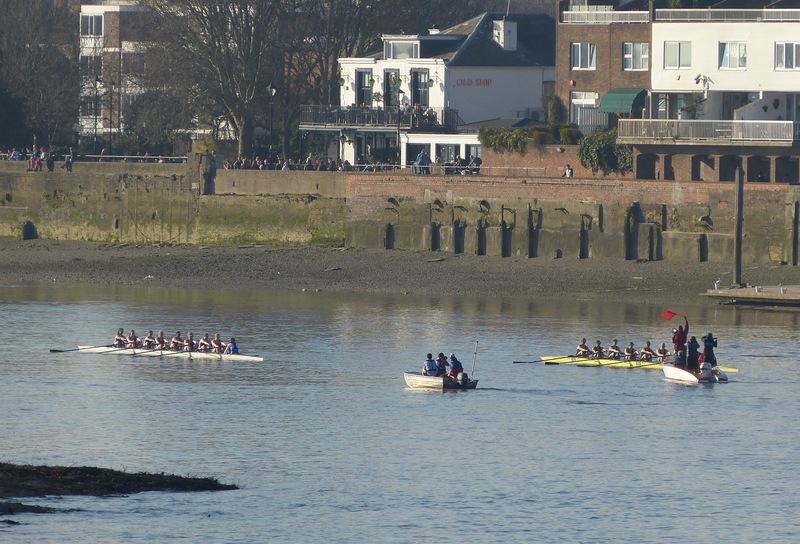 Cambridge Women (left) and Nereus (right, with Cambridge blades) race away from Hammersmith Bridge. Oxford seized the early lead, moving out to around a length lead over Imperial. 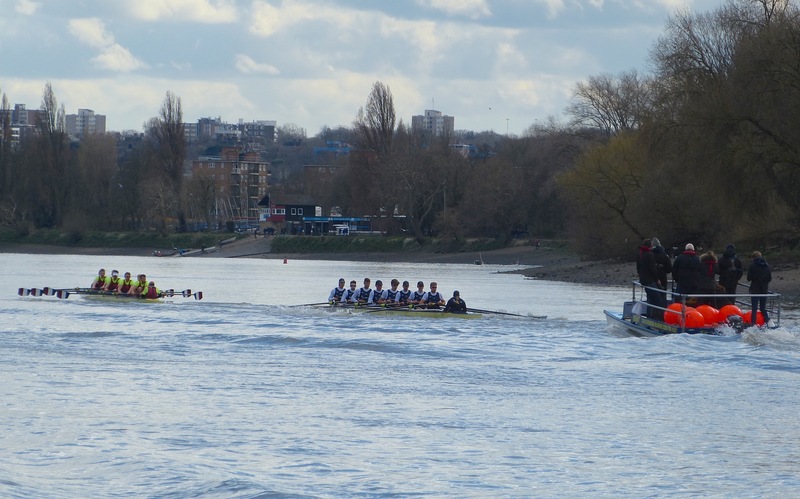 Passing Fulham Football Club, Oxford had clear water and stretched this out to win the first piece by four lengths. In two other pieces, Imperial was given a head start, but Oxford won by three lengths respectively three and a half lengths. 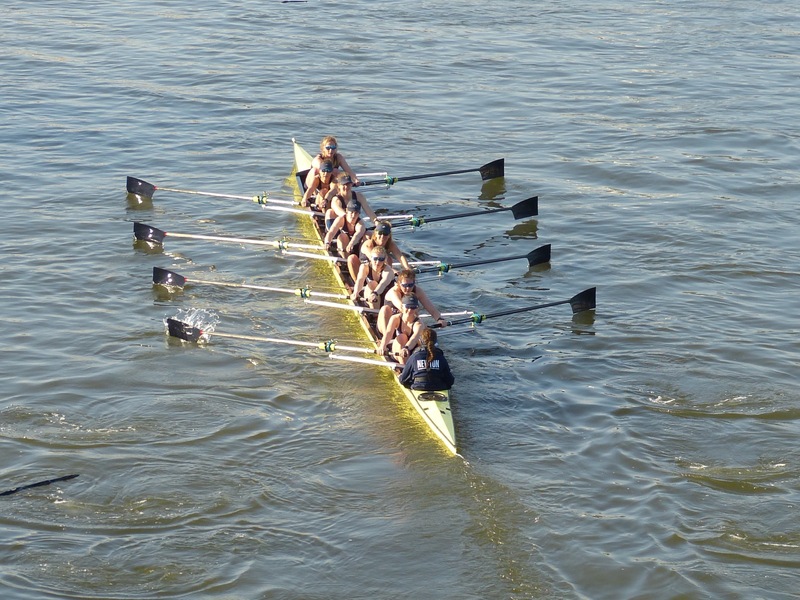 The Oxford Women’s crew that raced Imperial College on 24 February. Oxford Women vs Imperial College. Umpire, Richard Phelps, starts the second piece. The weather worsened throughout the fixture and it was a good chance to see how Cambridge would perform in conditions which contrasted to the near-perfect weather that they had for their last fixture against Nereus. The fixture was split into three pieces; the first piece was from the start to the Mile Post. Cambridge held a small, but noticeable lead for most of the first piece, increasing the distance to half a length approaching the finish at the Mile Post. In the second race, the conditions quickly worsened which allowed Cambridge to pull clear from Oxford Brookes who began to struggle in the wind. Cambridge finished with a strong lead over Brookes. Similarly, in the final piece, from the Bandstand to the finish, Cambridge continued to look strong and remained composed whereas Brookes found the conditions difficult. Cambridge won this one by three and a half lengths. 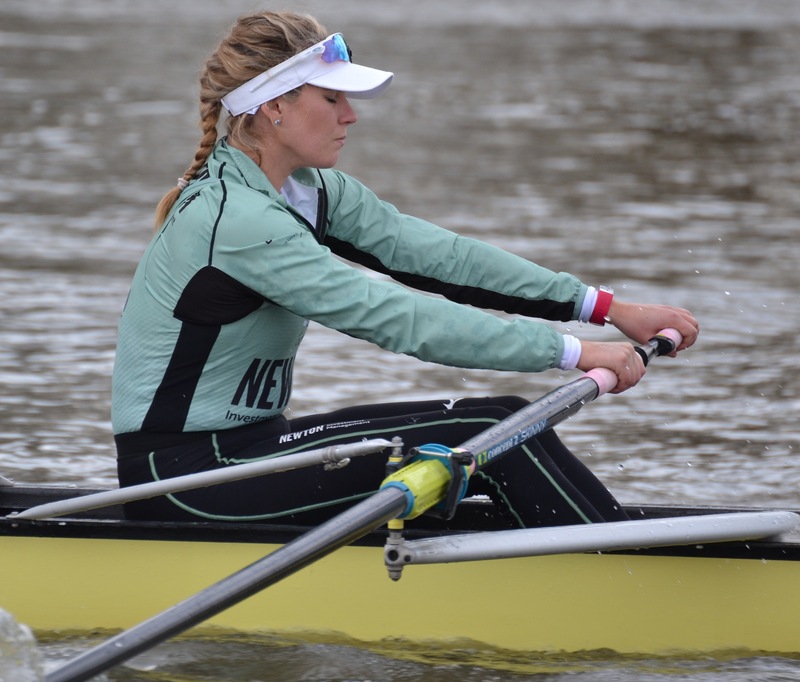 Blondie (Cambridge Women’s Reserves) raced Thames on 24 February. Two races were held between Chiswick Steps and Beverly Brook. From the start of the first piece, Brookes began to inch away and by the time the crews reached Hammersmith Bridge, Brookes had opened up clear water. At the finish, Brookes was well ahead of Oxford. The Dark Blues started stronger in the second piece, but Brookes still gained a three-quarters of a length lead by Hammersmith Bridge, and at Harrods, there was clear water between them. Towards the finish, Brookes increased their lead. Oxford Brookes is consistently ranked as the top rowing university in Europe, the question now was, how would Cambridge do against them when they met later in the month? Oxford Men vs Oxford Brookes. 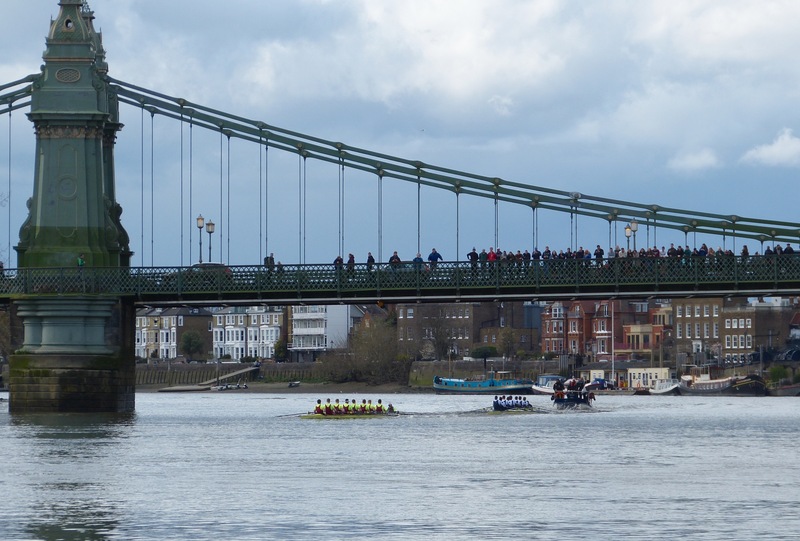 The first race goes through Hammersmith Bridge. Oxford and Brookes at Harrods. Oxford and Brookes in Fulham Reach. 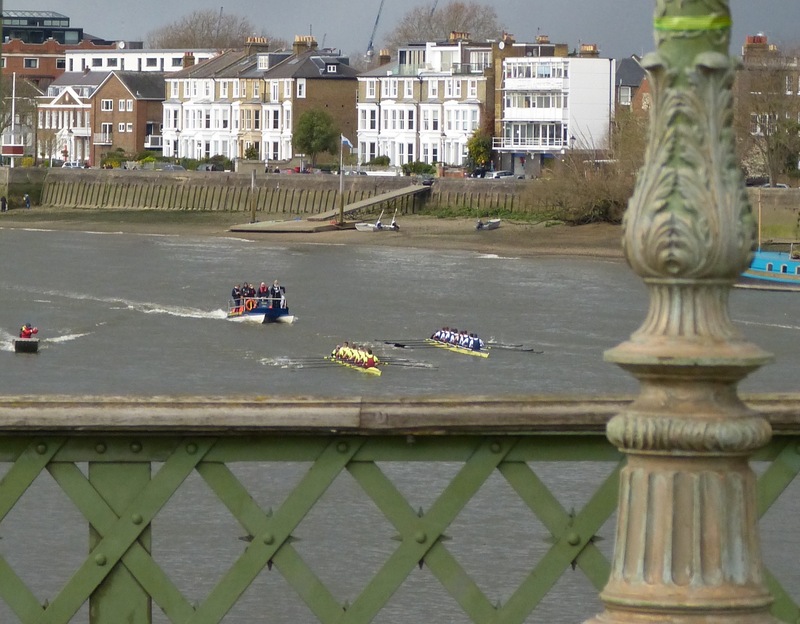 The Oxford vs Brookes second race approaches the famous second lamppost of Hammersmith Bridge. 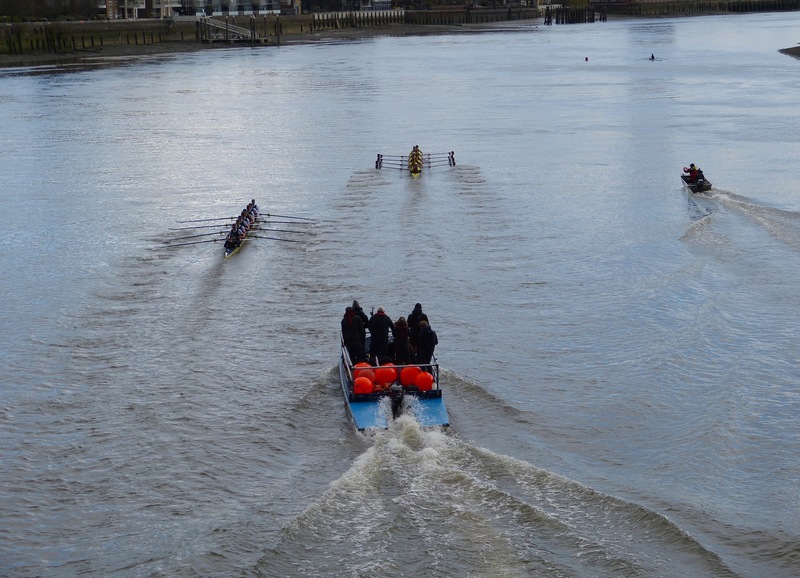 The two crews from the City of Oxford emerge from under Hammersmith Bridge. 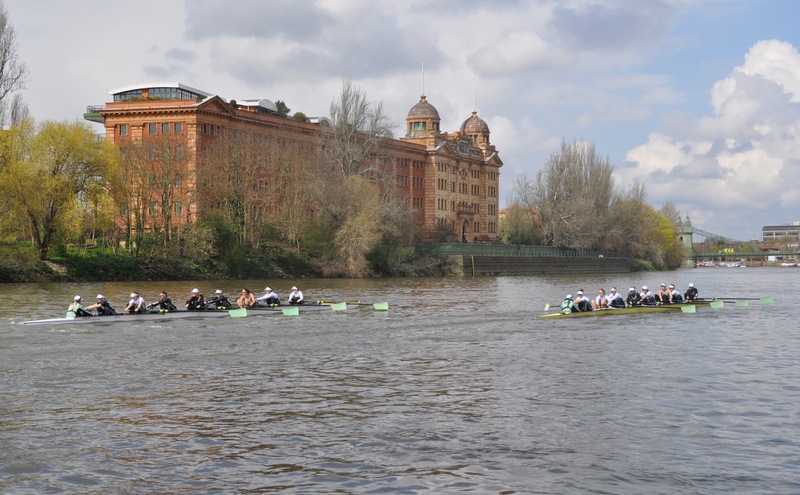 The first race was from the start of the Boat Race Course to Chiswick Eyot. Molesey lead out to a quarter of a length lead. Approaching Fulham Football ground, the crews were level. Oxford’s rhythm gave them a quarter of a length advantage and they continued to build on this lead, winning by one and a half lengths. 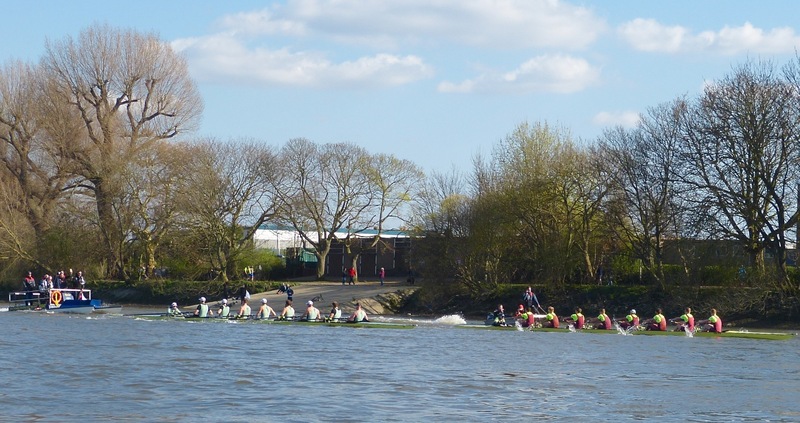 In the second piece, from Chiswick Eyot to the finish post just before Chiswick Bridge, Molesey lead again. The crews were level underneath Barnes Bridge. 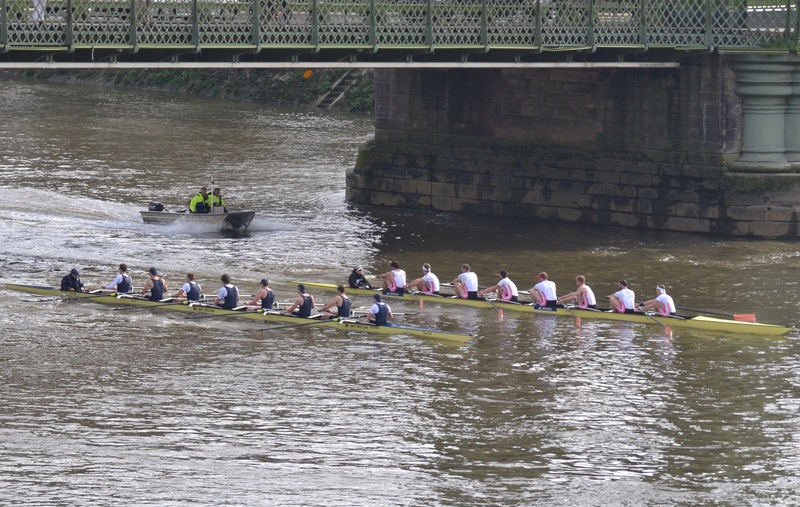 In the remaining three minutes of the race, neither crew had a clear lead but in the final strokes, Oxford managed to get their bows in front and crossed the line a quarter of a length up. The fixtures programme also contains a number of ‘unofficial’ races, though I do not know what gives a race such a status. 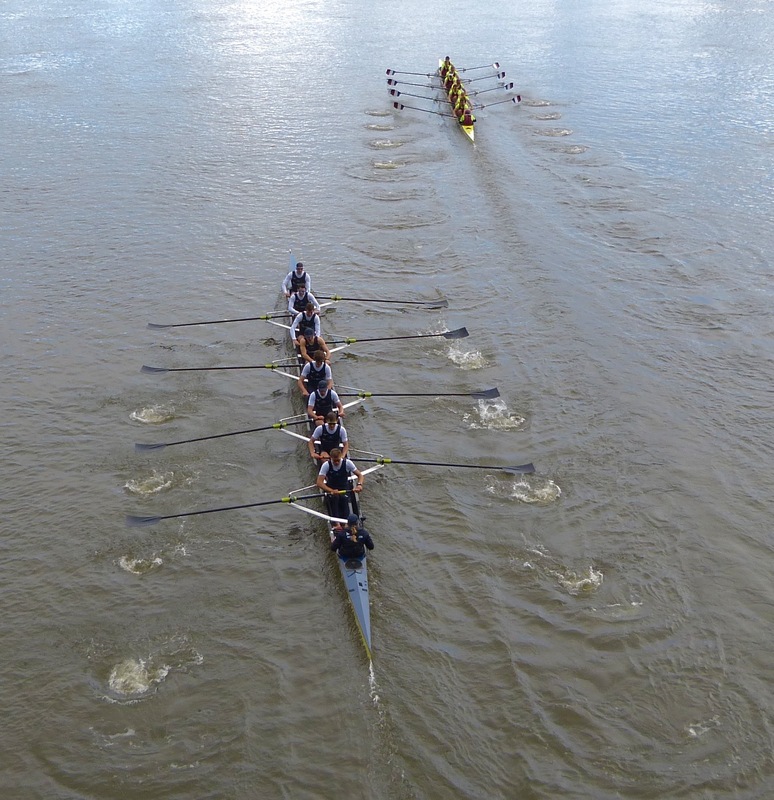 Here, on 24 February, Osiris (Oxford’s Women’s Reserves, right) ‘unofficially’ races Thames (left). Umpire Tony Reynolds is kept busy. A reshuffled Oxford crew from the one that lost to Brookes raced Leander from the Boat Race start to Chiswick steps. Neither was able to take a sizeable lead within the first few minutes of the race. Oxford took a slight lead at the Mile Post, but Leander came back level by Harrods. As the crews neared Chiswick Eyot, Leander took a half-a-length lead over their opponents, but once parallel with the Eyot, the Blue Boat managed to regain control and won by a canvas. 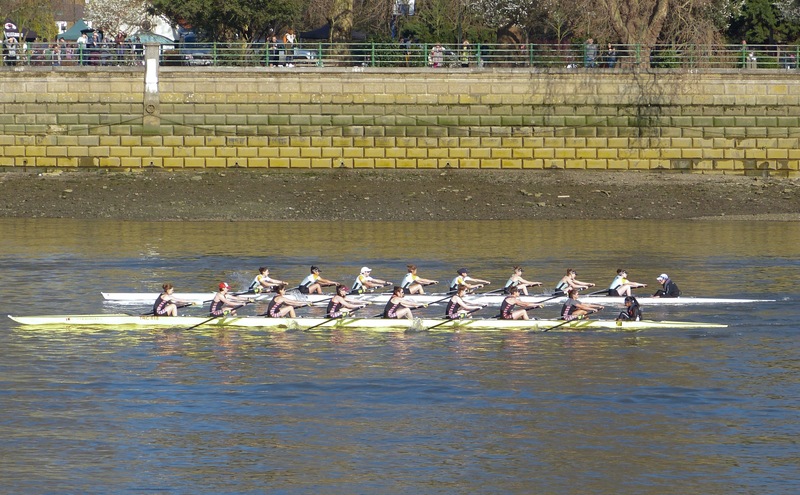 Leander leads Oxford at Hammersmith Bridge. Cambridge had a strong start and were five seats up at the Mile Post. Brookes gave a push into Harrods that saw them inch in front as the Surrey bend swept in their favour. 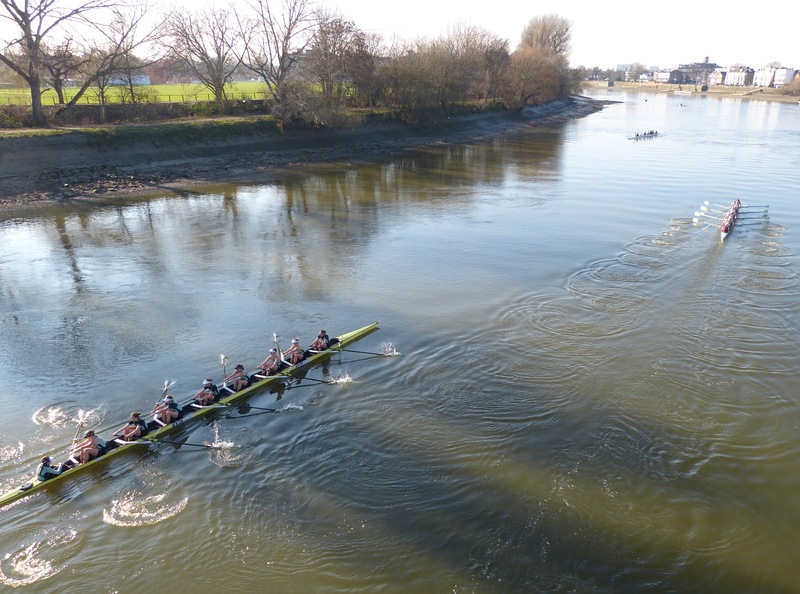 Along Chiswick Eyot, Brookes lead by three-quarters of a length. A finishing sprint from both crews saw Brookes finish the first piece two-thirds of a length up. On the second piece, Cambridge again had the stronger start. Despite the outside of the first bend around Chiswick Pier playing to Brookes’ favour, coming into the Middlesex bend the Cambridge cox was alongside the Brookes’ bow seat. A large clash just after Barnes Bridge saw a crab in the Cambridge boat which snapped six’s backstay. Cambridge, now a length down, attacked hard around the final bend and clawed back a seat from Brookes, finishing the final piece just under a length down. Cambridge put in a very strong showing against an immensely impressive crew from Oxford Brookes, putting them under significant pressure in both pieces. Brookes lead the Cambridge Men at St Paul’s School. 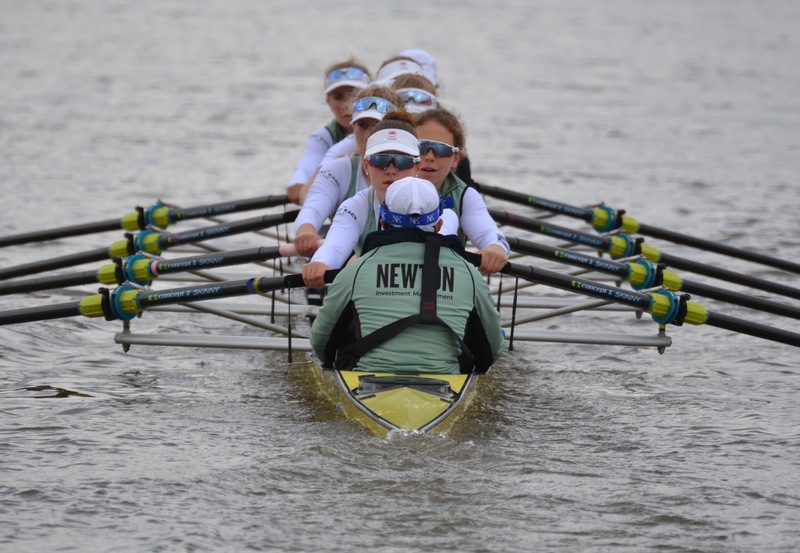 The photographs below are from the only Tideway Week outing that I did manage to follow, the Cambridge Women rowing on 3 April in which the Blue Boat paddled, did starts, and raced their reserves, Blondie. The Cambridge Women’s Blue Boat. Stroke Lily Lindsay and cox Hugh Spaughton. Pippa Whittaker in the ‘6’ seat. Passing Harrods, Blondie (left) races the Blue Boat (right). 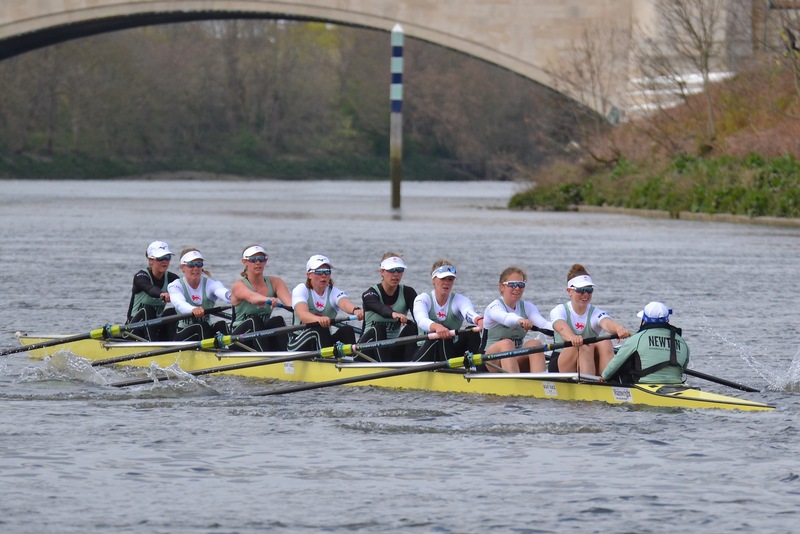 The Cambridge Women hope to be smiling again when they approach the finish post on 7 April. Oxford’s cox Toby De Mendonca, President Felix Drinkall and coach Sean Bowden. 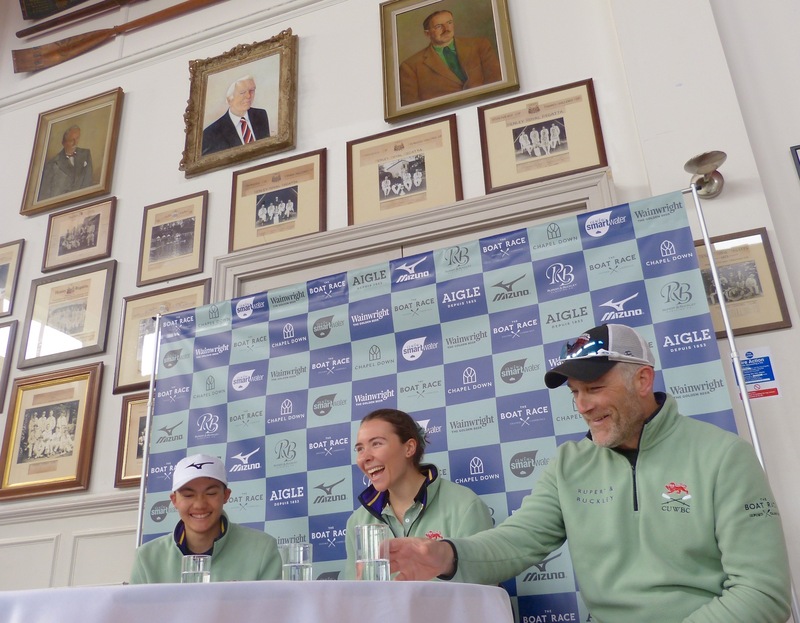 This year’s Cambridge Women’s President, Abigail Parker, has not been selected for the Blue Boat so Captain Larkin Sayre took her place alongside Head Coach Rob Weber and Cox Hugh Spaughton. Cambridge President Dara Alizadeh, cox Matthew Holland and Head Coach Rob Baker. Predictably, they spent most of their time taking questions about James Cracknell. 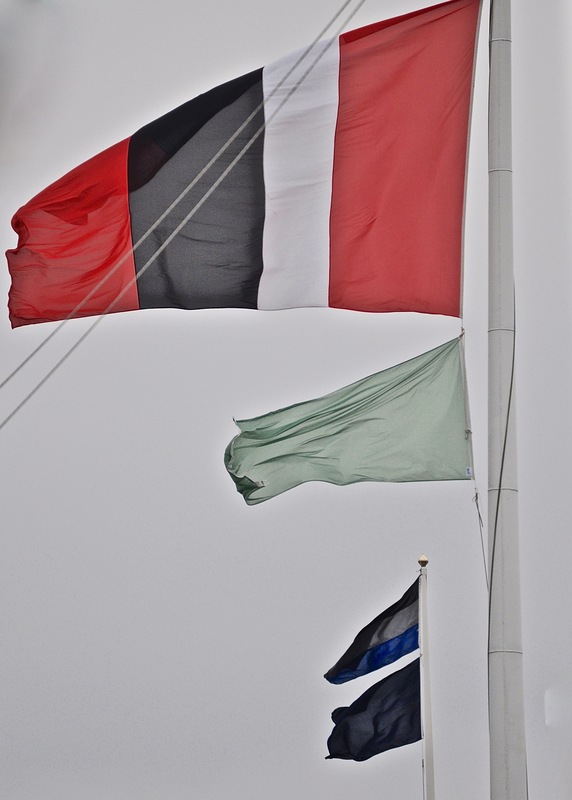 Flag 1: The Cambridge Men are based in Thames RC, the Oxford Women in the Imperial College boathouse. 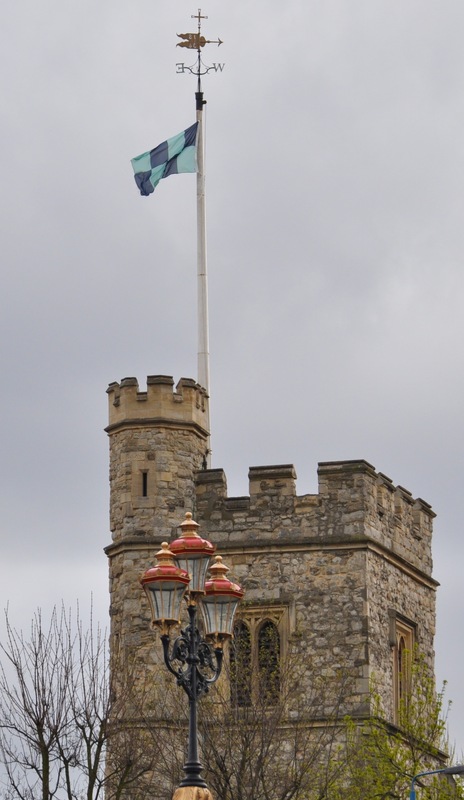 Flag 2: The Boat Race flag flies from the 15th-century tower of St Mary’s, Putney. On 28 October 1647, during the English Civil War, the Putney Debates, which paved the way for many of our current civil liberties, began at the church. Final outings 1: The Oxford Men. Final Outings 2: The Oxford Women. Donald rowed in the 1962 Goldie crew, and the 1963 and 1964 Cambridge Blue Boats. 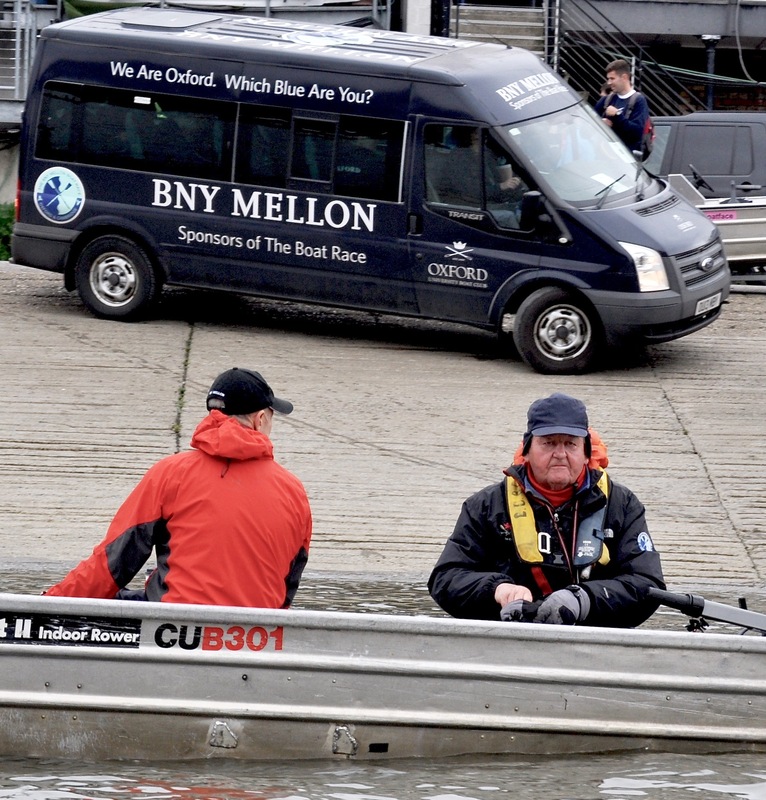 He (has) coached a CUBC crew every year since 1968 (and) a string of Henley wins over five decades…. 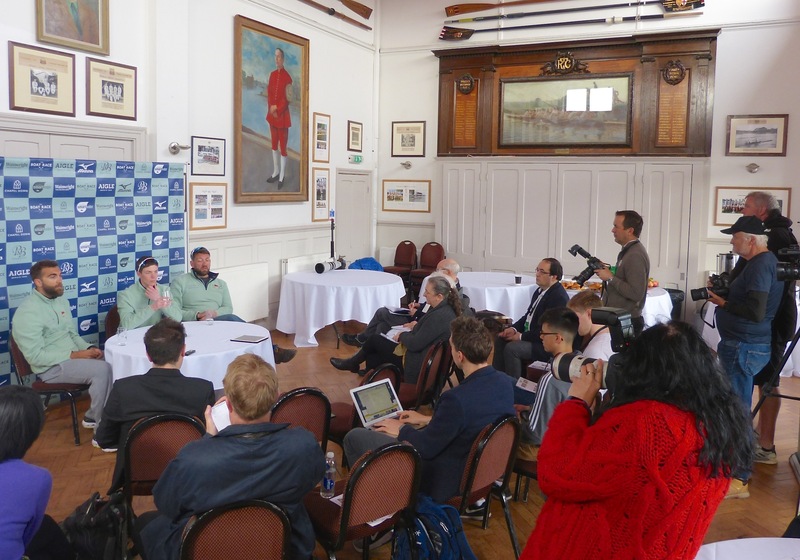 With unrivalled experience of the Boat Race, Donald’s role with Cambridge University Boat Club is to assist the Chief Coach, Assistant Coach, and President in their campaign to win the Boat Race and the Isis vs Goldie Race. 1) I think I’ll support Oxford this year. 3) I really don’t care how you spell my name. 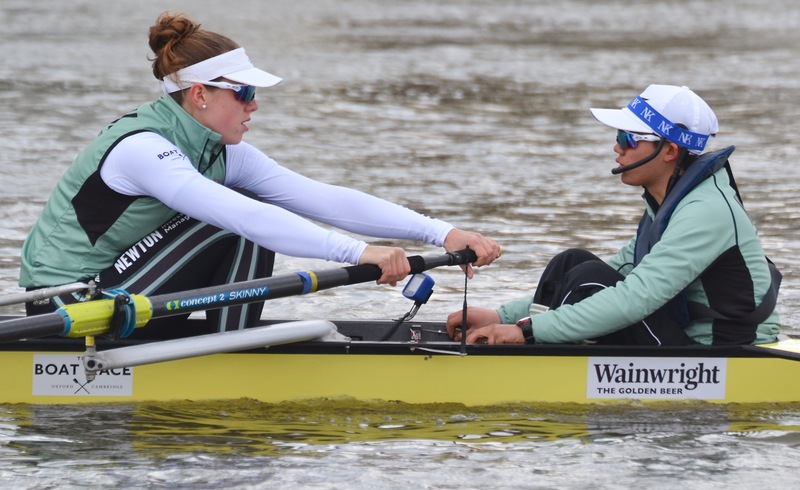 The Boat Race 2019 will take place today, Sunday, 7 April 2019, at 14.13 BST for the women’s race, and 15.10 BST for the men’s race. Live coverage of both races will be available on BBC One and will be live streamed via the BBC Sport website and BBC iPlayer, with updates on Radio 5 Live. For the following month, coverage will be available for playback on the BBC iPlayer in the UK.